A tale of two ivory hunters in Africa who come across the deserted camp of a German anthropologist -- a man who had been studying the life and language of the great apes. Sir Henry Rider Haggard is best known for his adventure novels, especially King Solomon's Mines and She. This is an amazing retelling of the Biblical story of the Exodus from the view point of Ana, the Egyptian scribe. The novel includes historical information, action, adventure, romance, and internal struggles that are still seen in today's times. Three Englishmen, marooned on a mysterious South Sea island, learn of the islanders' powerful god Oro, who has been sleeping for 250,000 years. This is a tale of spirit travel, reincarnation, occult powers, a subterranean city, the elixir of life. 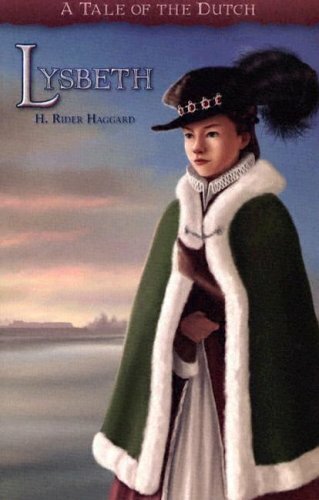 A must for all Haggard fans, 'Eric Brighteyes' is strongly recommended to anyone who enjoys a great tale of heroic endeavour. Perhaps the fastest-paced of all Haggard's many novels, it races from one highspot to another with vivid scene-setting.